OPINION — First of all, like the vast majority of Americans, I’m holding up surprisingly well under our latest national “emergency.” Not exactly shocking considering that concerns over illegal immigration have been keeping some people awake at night for at least the last 25 years. If only all emergencies could be so drawn out in their approach that opportunistic politicians had the time to contend, posture and build entire constituencies about how to best deal with them. It’s baffling to hear people strenuously defending our nation’s sovereignty and national integrity even as the politicians they’re begging to assuage their concerns are actively destroying both. Illegal immigrants aren’t the ones who have spent this nation into a $22 trillion national debt with promises to spend tens of trillions more. That’s the product of countless politicians who long ago abandoned any type of fidelity to their oaths to uphold the Constitution and its limits on government power. The fact that diehard conservatives are clamoring the hardest for more government and more Marxist central planning should raise the eyebrows of anyone who is paying attention. Prior to the 1920s, with the exception of the Chinese Exclusion Act of 1882, most Americans understood that the Constitution only empowered the federal government to address naturalization – the process of becoming a citizen. Immigration was not a responsibility given to the federal government. Few of those who are tied in knots over the prospect of securing the border with a wall, know enough about the history of immigration law in America to recognize its leftist roots. A bit of study would reveal that the primary architects of the 1920s immigration restrictions were not acting from a position of defending the country or its Constitution. Their concerns about who was arriving in America were based in fears of what they deemed inferior peoples and in maintaining elitist control over the masses. Later controls, imposed in 1952 and then in 1965, were designed by Pat McCarran and Ted Kennedy. Neither of these men would be recognized as defenders of the U.S. Constitution. They were, however, strong proponents of trade unions and big government. Immigration is not a power delegated to the federal government in the Constitution. This is important because in a Constitutional republic, lawmakers are not empowered to legislate outside of their enumerated powers. The amendment process exists for a reason but, so far, the U.S. Constitution has not been amended to give the federal government authority to control and regulate immigration. Even if the voters are clamoring for greater government control in one area or another, their elected representatives must still abide the limits of their power. Otherwise, the door is wide open for tyranny and abuse of power. That is another area where my conservative brothers and sisters have a very troubling blind spot. If a Democratic president were to declare a “national emergency” over an issue where he wished to exercise greater authority than was constitutionally authorized, we’d be hearing endless wails of conservative outrage. When a Republican president expands government power by executive decree, conservatives justify it with partisan logic so twisted it would make a contortionist gasp in horror. They forget that whatever abuse of political power we’re wiling to excuse can eventually be revisited on us by the opposition – typically in suppository form. Unfortunately, conservatives and progressives are so enraptured by political theater that they can’t suspend their ideologies long enough to see where it’s leading them. The dogma that building a wall will somehow influence the innumerable problems arising from systemic abuse of government power in every other area of our lives, reveals how disconnected we’ve become from our history and civics. Fear remains a highly effective tool for manipulating the under-informed. None of these observations are meant to deny that there are some serious problems associated with who and what has been moving across our Southern border. We err in presuming that our own public policies have nothing to do with these challenges. A big part of our politicians’ spending problem has to do with the welfare/warfare state that they have created. Building a massive bird feeder and then griping when birds show up is pretty shortsighted. Especially considering that a clear majority of those birds are domestic rather than migratory. This means that blame for ongoing threats to our national sovereignty and integrity goes far beyond the latest national “emergency” we’ve been watching for decades. Walling ourselves in while ignoring our metastasizing national debt and out of control government places us at risk of becoming inmates of the world’s largest open-air debtors prison. We’re confusing symptoms for the cause of our disease. We’re so busy trying to dominate one another that we miss the truth right before us. The greatest threat to our way of life is government without strictly enforced limits. Bryan Hyde is an opinion columnist specializing in current events and liberty viewed through what he calls the lens of common sense. The opinions stated in this article are his own and may not be representative of St. George News. 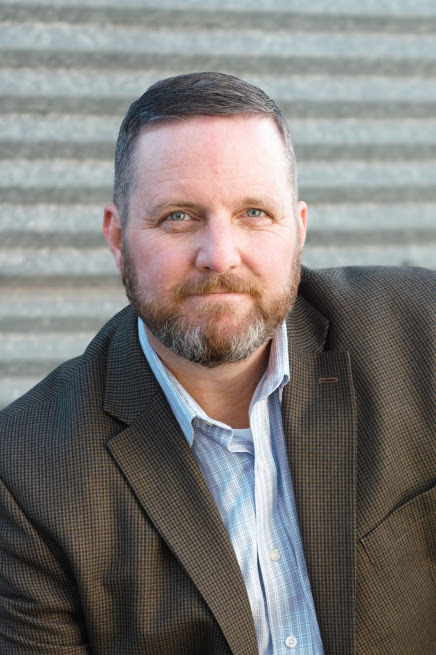 Bryan Hyde is a husband, father, teacher, writer, speaker of truth, and a disciple of liberty. He has been a steady voice of reason with a radio career that spans more than 3 decades and is host of the daily "Loving Liberty with Bryan Hyde" broadcast weekday mornings on the Loving Liberty Radio Network. He also co-hosts the "Society and the State" podcast. The opinions stated in this article are Hyde's own and may not be representative of St. George News.